The next meetup even is scheduled for March 23, 2014 in Taipei, Taiwan. We will be meeting for an informal peer workshop for improving our pronunciation. Click here for details and to RSVP. Language Boat continues to recruit guest bloggers to share their language learning experiences in an ongoing series called Perspective Collective. This series aims to expand Language Boat’s perspective on language learning to encompass more diverse and effective ways people learn. If you are interested in participating please email me at info@languageboat.com. Language Boat held its monthly meet up event on February 16th. We talked about and practiced our pronunciation in Chinese, English and Spanish. It was a small group which lent itself nicely to a productive and intimate gathering. More events are being scheduled. Check Language Boat’s Facebook Page for a current listing of events. Please join us next time! I wrote my first Chinese essay last month and have continued to make slow yet steady progress with my learning. You are reading the 321st post on Language Boat. I’ve been blogging daily for nearly a year, and recently I’ve considered cutting back. Sometimes I think I should be spending more time studying Chinese instead of blogging about it! Additionally, I’ve got several irons in the fire and I will need to restructure my work / study / writing schedule soon. While blogging less sounds like a good idea for practical purposes, I absolutely love it and may find that cutting back just isn’t possible! We shall see. Chinese translations of popular posts continue to be a smash hit on Language Boat. If you would like to submit a Chinese translation of your favorite posts, you may do so by emailing me at info@languageboat.com. I will be publishing the translations with links to the original posts in English. Read it now! >>> Can Somebody Please Tell Me Why Taiwanese People Do This? I just got home from tonight’s meetup. It was great seeing old friends and making new ones. And I always love to chat with other passionate language learners. The theme of the meetup this month was pronunciation. It was a peer workshop, and we offered up our questions and help to the group. We primarily focused on English and Chinese, but also discussed Spanish and Korean. I got some good tips and help with some of the Chinese consonant sounds that I sometimes struggle with. The participants at this meetup were all quite fluent in English, and their pronunciation was great. Honestly, I feel like I probably benefited the most from their generous help with Chinese. I never want to discourage anyone from participating in the meetup events, but I must admit the small size of this group made for a productive discussion. It also allowed up to chat more as a group rather than multiple small conversations around the room, creating more cohesion among us. If you missed this event, and you are in the Taipei area, I hope you can join us next time! Subscribe to the blog and get new posts delivered straight to your inbox. Thanks for reading and commenting! The next meetup even is scheduled for February 16, 2014 in Taipei, Taiwan. We will be meeting for an informal peer workshop for improving our pronunciation. Click here for details and to RSVP. Language Boat held its fourth meet up event last month. We talked about our language learning goals for the new year and how we plan to achieve them. What a really fun group of dedicated language learners! January was a month of notable Chinese progress. I had hired a Chinese tutor back in December, and I’ve been working with him three days a week. It’s definitely paying off! To help manage my time between blogging daily, working 7 days a week, plus studying Chinese, I’ve been blogging some of my homework. Your suggestions and feedback on these posts has been a great help and support to me, thank you! Read it now! >>> What Could Be More Taiwanese Than This? Taiwanese language is spoken by about 70% of Taiwan’s population. In what year did Mandarin Chinese become the official language of Taiwan? If you missed tonight’s meetup, you missed an inspiring evening of language enthusiasts exchanging ideas and information about languages and language learning. We discussed our plans and ideas for language learning in the coming year. There was discussion about starting a book club, organizing a Chinese language study group for foreigners in Taipei, and learning new languages. French, Turkish, Korean and Spanish were all mentioned. Interestingly, all the participants had experienced living abroad in their target language country, and most spoke about three languages fluently. A few people were language teachers (English & Japanese.) Languages spoken fluently by group members included Mandarin Chinese, French, Portuguese, Japanese, Taiwanese, Spanish, Hakka, and English. I was in immersion language learning geek heaven with this group! There was a lot of laughter and intelligent conversation, revolving around language and culture. The meetup was scheduled for two hours, but most of us were enjoying the discussion and our new friendship connections that we stayed an extra two hours! 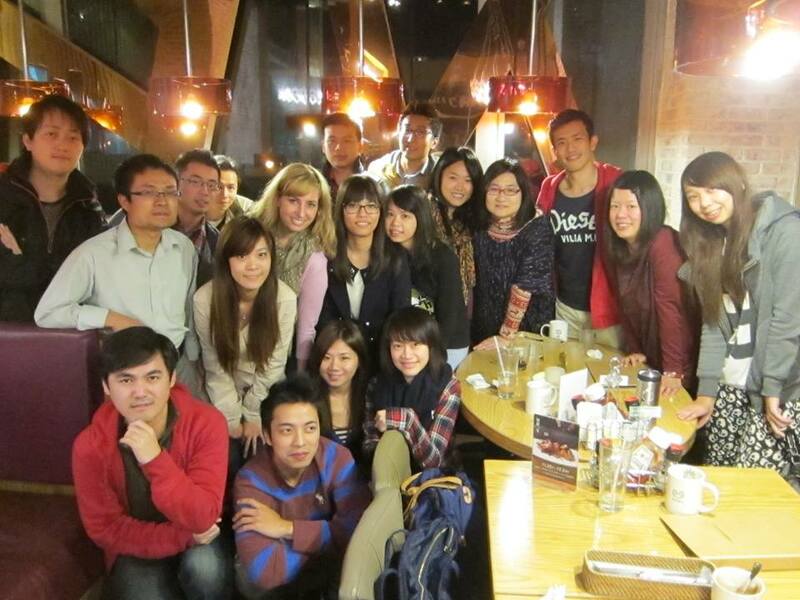 The next meetup even is scheduled for January 19, 2014 in Taipei, Taiwan. We will be talking about our language learning goals for the new year and how we plan to achieve them. You can expect to feel motivated and inspired! Click here for details, or if you would like to RSVP. 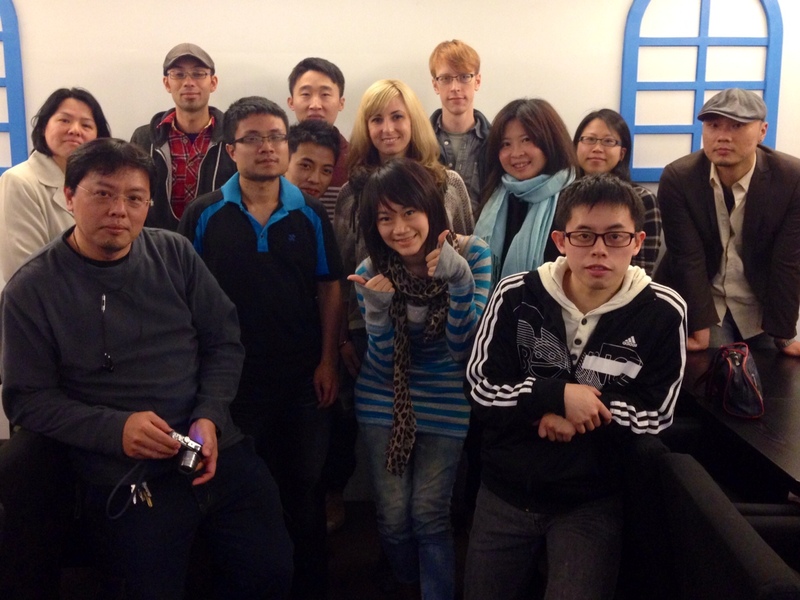 Language Boat held its third meet up event last month. It was the biggest group yet! The topic of the meetup was travel. We discussed travel and shared tips and recommendations. 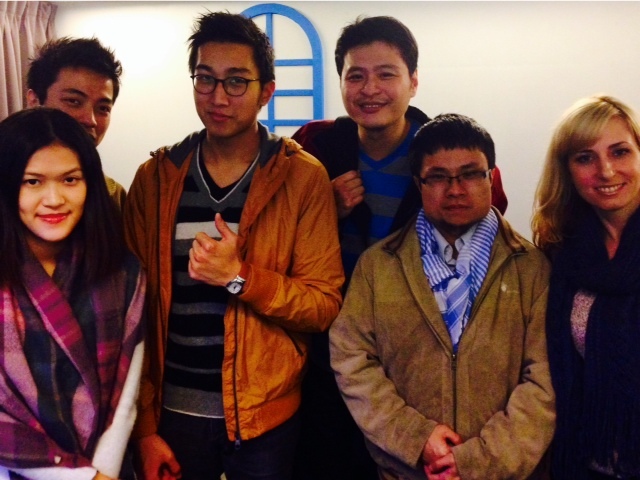 It was a spirited group and I got some great practical advice about traveling in Taiwan and Asia. December was a busy month that included a short trip to the Philippines that inspired dabbling in the Filipino language, Tagalog. After the recent and devastating hurricane there, Pimsleur began offering its Tagalog course for free. As of this writing you can still download it for free here. English and Filipino (Tagalog) are the official languages of the Philippines.